“Cross.” The title of this record is pronounced “cross.” Believe me, there’s no one in the world more annoyed than me by obnoxious things like this in music. Symbols should not be used as record names, song names, or artist names. While I have dealt with all three over the course of this project, I have not become any less annoyed with them. I should really stop complaining, though. 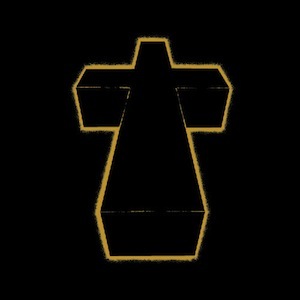 † is one hell of a record. But first, let us back things up. If you’re tuned in to the worlds of either French house music or hipster garbage (and why on earth wouldn’t you be?) 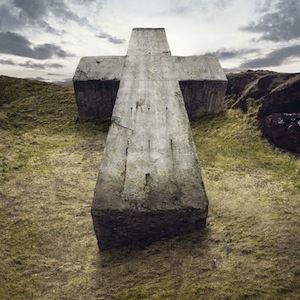 then you already know that Justice’s sophomore album is coming out in just a few days. (Officially, at least—it leaked earlier this month). I’m sure the question at the forefront of your mind goes something like “why are you listening to this old ish when new stuff is just a mouse click away?” Sure, I could capitalize on the (moderate) amount of hits that writing about a brand new record would bring in, but that’s not what this is all about. While reactions to Audio, Video, Disco, the duo’s newest release, have been relatively mixed, † is said to be a modern classic, an example of what dance music should be, and a call for all lesser DJs to just give up. Now that I’ve listened to it, I can agree wholeheartedly. I know we’re in for something massive when an audible “uh-oh” escapes my lips 40 seconds into the opening track of an album. That I am listening to on headphones. In a room occupied only by myself. Genesis’ drawn out intro and subsequent bass-heavy mid-section of pure musical gold sets the tone for the nonstop party that is †. 11 epic beats and ridiculously catchy dance tracks later, I’m already going through withdrawal. I’ma press play again. † is absolutely perfect at what it is. A dance album with a soul is hard to find, and a dance album with a human-like soul is even more rare. † is scratchy, dark, and just crying for attention, and I’m more than willing to give it plenty.